The winner is Jeff Charbonneau, a science teacher at Zillah High School in Washington state. 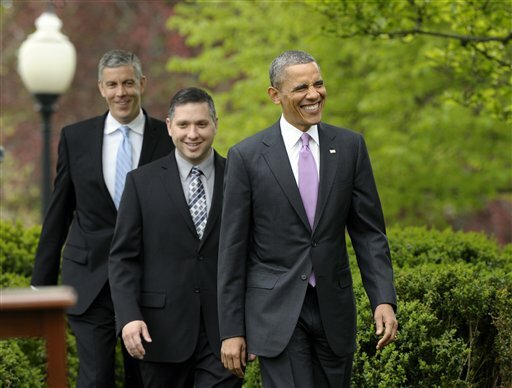 WASHINGTON — President Barack Obama is honoring the finalists for the 2013 National Teacher of the Year award and saluting the winner, a Washington state teacher credited with improving science enrollment at his high school. The winner is Jeff Charbonneau, a science teacher at Zillah High School in Washington state’s Yakima Valley. Obama made special mention of the six educators who died last December in Newtown, Conn., during a shooting spree where a lone gunman also killed 20 elementary school children. The president said teachers encourage children’s passions, inspire their imaginations.